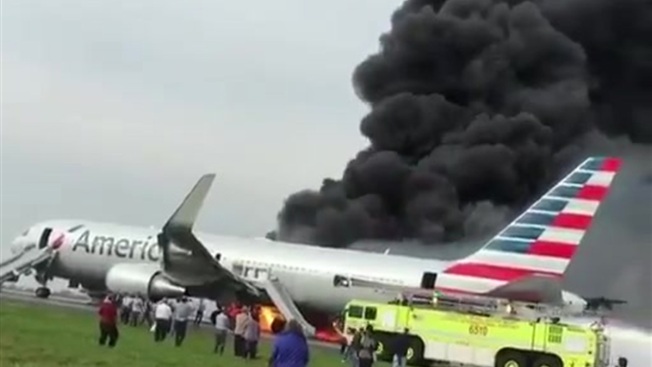 Documents released Thursday by the National Transportation Safety Board reveal a chaotic scene aboard an American Airlines passenger jet that caught fire at O’Hare last October. The aircraft, bound for Miami, was on its takeoff roll Oct. 28, when a fan disk in the right engine flew apart, severing a fuel line and igniting a roaring fire. Observers agree the result would likely have been a fiery crash if the flight had gotten airborne. Instead, the crew brought the plane to a screeching stop on runway 28 Right, evacuating all passengers safely. But investigators described a scene of panic, as terrified passengers scrambled from their seats before the aircraft had even come to a stop. At the time of the engine explosion, the aircraft was traveling at 128 knots. The captain aborted the takeoff roll and brought the burning plane to a stop 26 seconds after the fan blade ruptured. Inside the plane, flight attendants described passengers climbing over seats to get out. Two flight attendants described verbal altercations with passengers who insisted on bringing their bags with them as they evacuated. One of those flyers actually fought a flight attendant’s efforts to make her leave her luggage behind. Still, the report depicts a remarkable evacuation. When the captain and first officer finished all of their emergency procedures, they opened the cockpit door, only to find that all passengers were already off the aircraft. The last occupant jumped into an evacuation slide just 2 minutes and 21 seconds after the plane came to a stop. At this stage, the NTSB goes to great lengths to neither emphasize nor prioritize factual information. But the reports make clear that there are two primary areas of concern. The first, the fan blade itself. Microscopic examination revealed that the disk had what is termed an “internal inclusion”, foreign debris actually embedded in the metal. Secondly, investigators are clearly zeroing in on the design of the wing, where so-called “dry bays” above the engines designed to keep fuel tanks in the wing away from areas where shards of metal from an incident like this might lead to a catastrophic rupture. In this incident, pieces of the disk penetrated the dry bay of the right wing, severing a fuel line in the one area where it passed through. 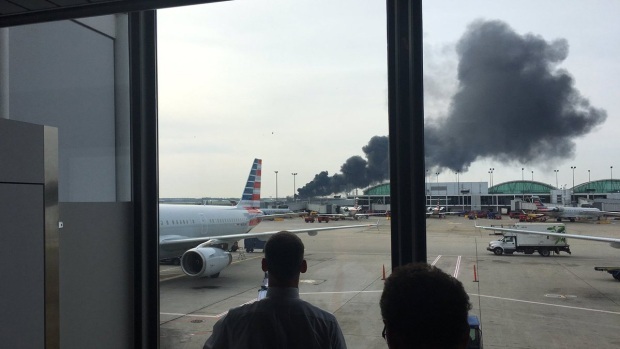 An estimated 2040 gallons of fuel gushed from the wing, engulfing the right side of the aircraft in flames.